Chokers are have been making a fashionable comeback. And while the 90s proved primetime for plastic, gothic versions of the design -- you know, the ones the cool girls sported in middle school -- the staple has reemerged to make a statement on the runway in dramatic, oversized fashions. However, there are more realistic ways to sport the trend without making such a dramatic statement: think delicate designs, simple metals and muted aesthetics. Less is more in today's choker world, especially if you're aiming to make it a more versatile trend and suitable for everyday wear. 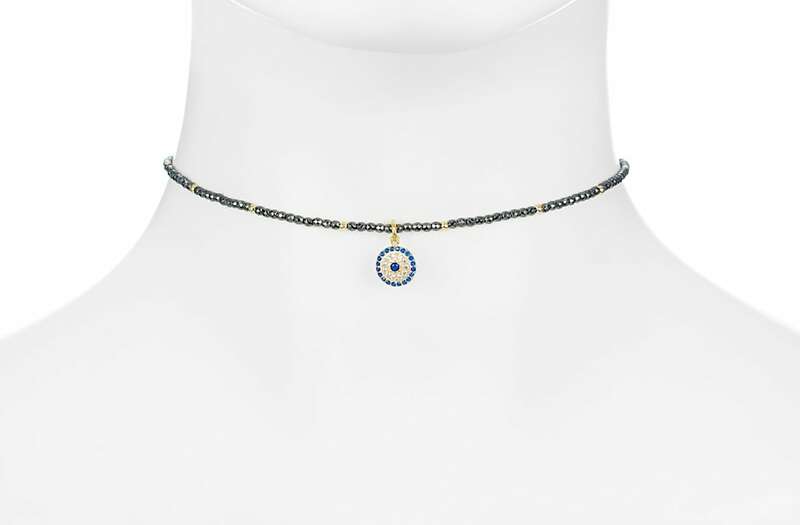 Below are some of the daintiest yet chicest choker trends our editors have been eying this spring, with selections for every kind of budget.